Shares of Textainer Group Holdings (NYSE: TGH) surged in October, closing the month up 14%. Driving that rally was rival CAI International's (NYSE: CAI) expectation-smashing third-quarter results, which an analyst saw as a positive for CAI as well as its competitors Textainer and Triton International (NYSE: TRTN). In mid-October, CAI International unveiled its third-quarter results. The container leasing company reported that revenue jumped 14.9% year over year to $90.2 million, which beat expectations by $1.2 million. Meanwhile, earnings improved to $17.6 million, or $0.90 per share, which was $0.20 per share better than the consensus estimate. Furthermore, profitability was well ahead of the $0.65 per share it earned last quarter and in stark contrast to its year-ago loss of $0.28 per share. CEO Victor Garcia noted that "the momentum in our business has continued as the year has developed, with the third quarter being particularly strong." 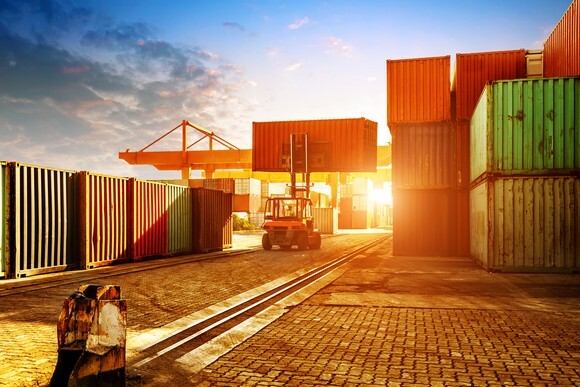 He also said that "the core fundamentals in our container leasing business remain strong" and that "our available inventory for lease or sale [containers] is at historic lows and we expect utilization to remain at these elevated levels for the coming months." 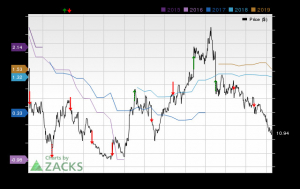 Those results and comments led an analyst at SunTrust to raise CAI's price target from $32 to $40 while maintaining a buy rating on the stock, saying that there "there are no signs of slowing in the recent upcycle." In addition, the analyst pointed out that CAI's strong third-quarter results suggest that Triton and Textainer should also post excellent results for the third quarter. Investors won't have to wait much longer to see if that's the case since Textainer will release its third-quarter results on Thursday morning. Ideally, the company will show another quarter of continued improvement and hopefully return to profitability. If that's the case, the company could finally reinstate its dividend, which it suspended in last year's third quarter after it reported the first of many losses. 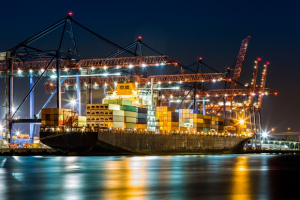 That potential catalyst, when combined with the upside CAI and SunTrust see in the container leasing market, suggests that Textainer's rally could still have plenty of steam. Matthew DiLallo owns shares of Textainer Group. The Motley Fool recommends Textainer Group. The Motley Fool has a disclosure policy. 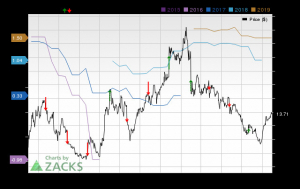 Textainer Group (TGH) Earnings Expected to Grow: Should You Buy?